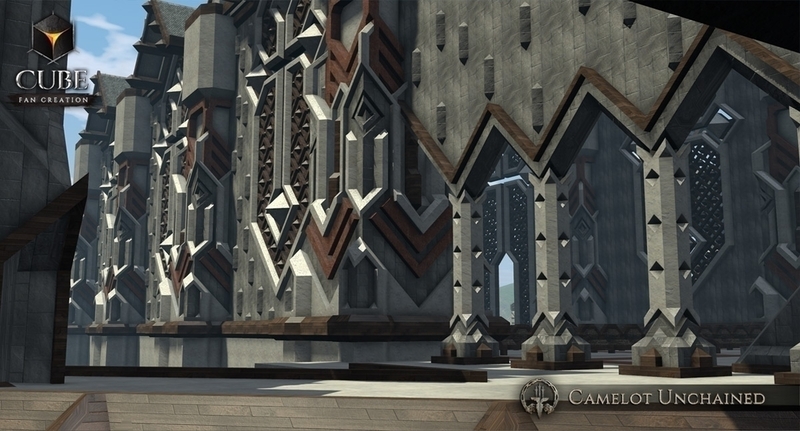 The game is PvP / building / crafting MMORPG by Mark Jacobs (the creator of Warhammer Online, Dark Age of Camelot) - good quick intro is it's IGN Wiki. 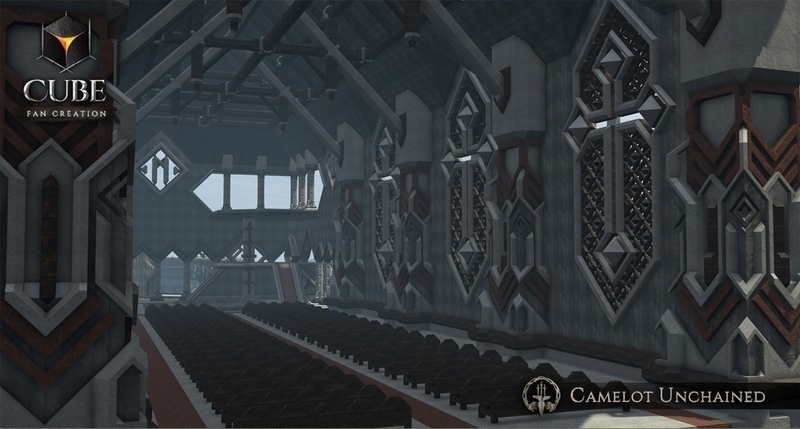 - ...and interior (looks like church!?). Of course, some other player would go for totally different look + design. 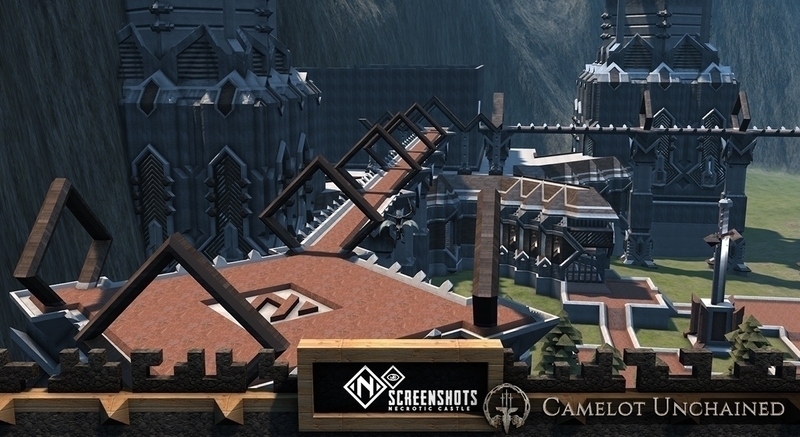 Building tool for players is C.U.B.E., short for Camelot Unchained Building Environment. Also, beta should start in a month or two (as I type this, September 2016) and open beta (free tests) is scheduled for 2017.